Each year, more American families celebrate Christmas and Hanukkah, or a blend of the two. A local expert shares some holiday tips for interfaith couples. “I saw all these beautiful trees decorated with little trains running around them and sparkles, and I wanted one. I really, really wanted one,” said Nathan, who was raised Jewish and grew up in South Africa before moving to the United States. “I felt left out and so different,” she said. But this year, Nathan will no longer feel green over an evergreen. Since moving from Boston to Reston, Virginia, to be closer to her grandchildren, who celebrate both Christmas and Hanukkah, she plans to join them in decking the halls and trimming the tree — and she is not the only one. According to a survey from Pew Research Center, less than half of the 90 percent of Americans who celebrate Christmas do so as primarily a religious holiday. And with interfaith marriages on the rise, it’s not uncommon for Jewish families to partake in Christmas traditions. Pew found that around 70 percent of Jewish Americans with a non-Jewish spouse had a Christmas tree in 2013; 30 percent of practicing Jewish Americans had a tree that same year. 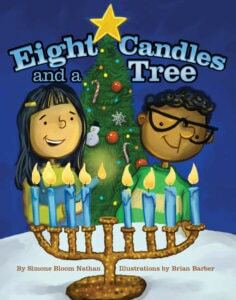 “There are similarities between [Hanukkah and Christmas]; there are things that they share,” Nathan said. “They share lights and food and family — most important, being with people that you love,” she said. “I wanted to validate children who celebrate two holidays at this time of year. But more important, I wanted to say there’s no right way or one way to do anything,” Nathan said. “There’s no right way to celebrate Christmas or to celebrate Hanukkah — there are traditions that people follow and … I wanted to emphasize that every family has its own tradition,” she said. 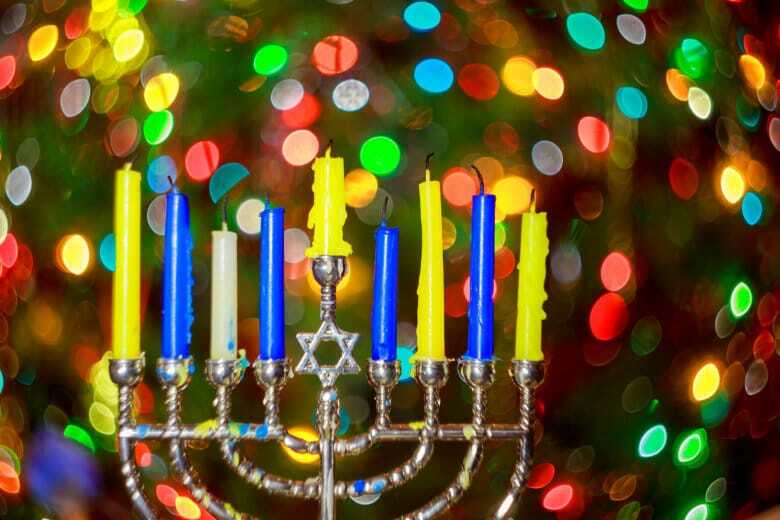 Do your holiday plans include lighting a menorah and a Christmas tree? Nathan has some tips for interfaith couples who want to pass their holiday traditions on to their children, while simultaneously celebrating a spouse’s religion and culture. Nathan said it’s important for interfaith families to “make a conscious decision to create and celebrate traditions that honor both faiths.” Host a holiday meal that includes dishes from both backgrounds, or plan an activity that incorporates the spirit of each holiday. If you’ve made the decision to raise your children in two faiths, Nathan said it’s essential for each partner to take an interest in the other’s culture and customs. “I think it’s really important for the spouse who has not celebrated that culture and religion to learn about it and to show an interest so that the children see that both of their parents are interested in both religions,” she said. Over the years, Nathan has been teaching her daughter how to make latkes. They still make the fried potato pancakes together, but now that her daughter feels more comfortable with the process, she has started to take the lead — and her children have started to notice. For those living in the D.C. area, Nathan recommends checking out Interfaith Families Project of Greater Washington. The organization serves as a community and a resource for Jewish and Christian partners. 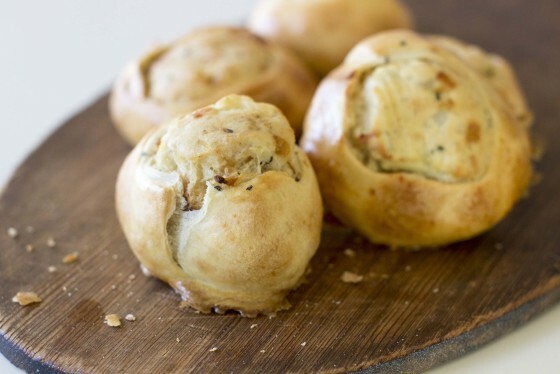 From latkes to brisket and blintzes, here are some traditional takes and modern twists on tasty dishes for your Hanukkah holiday.